Office culture is more important than ever in today’s employment market. Having an office coffee service Washington DC trusts and pantry service in office is a great way to create a culture that attracts and retains top talent. Monumental’s pantry service provides your employees with bulk, healthy food options at no cost to them. This investment in your employees correlates to more productive time spent in the office and less idle time searching for food. With a reach in nearly 400 offices in the Baltimore, Washington D.C. and Northern Virginia area, it’s no wonder that Monumental is the link between so many of the area’s “Best Places To Work”. Imagine your employee break room fully stocked with cereal, fresh milk, whole fruit, yogurt, granola, and more. All at no cost to your employees. That’s Monumental’s pantry service. 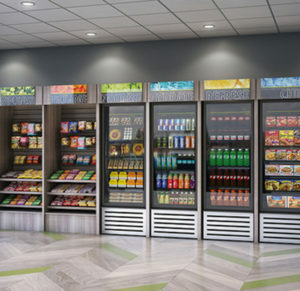 No matter the size of your break room, we can customize your pantry experience, tailoring it to your office’s needs. From small orders of bulk fruits (perfect compliments to our micro-market and Washington D.C. office coffee service) to a kitchen full of healthy cereals and snacks, there is a pantry service package right for you! Pantry service should be an enhancement to your office, not a burden on you. So Monumental makes managing pantry service or office coffee service Washington D.C. provides easy! We’ll work with you to select the menu right for your office and day-to-day ordering can be handled online or with Monumental staff. You will have a dedicated Customer Development Manager that analyzes and monitors the selling trends of products and can make adjustments custom to the taste of your office. The right products will be in your break room with no waste. Service matters to you. And our customer service is Monumental, to say the least! We were founded on the core value of exceptional service and we pride ourselves in giving that to our customers. You can rest easy knowing you will always be treated with the care you deserve. We have a dedicated customer service team trained to exceed your expectations and our highly experienced technicians are the best in the business. And since we are local, you will always receive quick and efficient service. We do things right the first time. That’s the Monumental way! Are you ready for a Monumental improvement to your break room? Inquire about our pantry service and office coffee service Washington D.C. offers by calling at 301.595.4909!